During much of history, a state’s interest in art was its use as propaganda. It's easy to think of mostly benign examples, such as indigenous programming on Canadian television, the CIA's secret support of publishing samizdat copies of Dr. Zhivago, or China's rapid construction of and investment in new museums as an expression of soft power. Cultural products such as soap operas and foreign publications have been disseminated illicitly in Cuba and North Korea. Last year, artist Justin Lieberman petitioned the US State Department—which selects artists to represent the nation in its pavilion at the Venice Biennale—to choose the moralizing, Trumpian painter Jon McNaughton to represent America in 2018, with a scathingly satirical plea on change.org. As nefarious as such clandestine efforts might be, they champion free expression, promote art, and they sure beat hostilities. The flipside has always, always been there, of course. Regimes have put great weight on representations of the state and its interests and often have censored predecessors or challengers to their power—e.g. the iconoclasm of the Protestant Reformation; or the post-2003 destruction of cultural touchstones in Iraq, first with the erasure of Saddam Hussein’s cult of personality, and then with ISIS’s looting and demolition of antiquities. There are also offenses of this type right now, as authoritarian rule and its ethos have become disturbingly pervasive, both among countries that are the usual suspects for this kind of repressive behavior (for example Russia and Cuba) and those that are at least nominally liberal and democratic (Israel and the city of Washington, DC). This does not break down neatly into left and right wings, but rather is a widely shared tactic used to threaten speech that is capriciously judged to be indecent, deviant, or dissident. 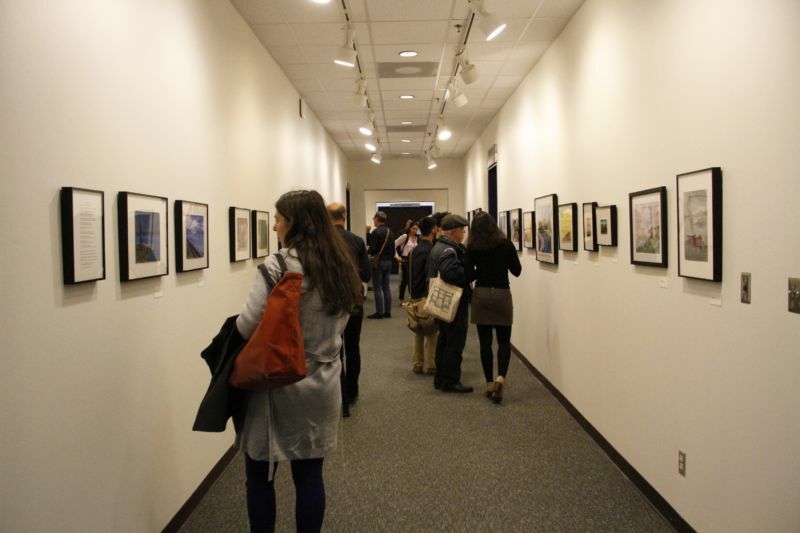 From the reception of "Ode To The Sea: Art From Guantanamo Bay," October 16, 2017-January 26, 2018, President's Gallery, John Jay College of Criminal Justice, New York. Image courtesy of the curators. Incidentally, Bruguera was also a very strong and insistent voice in protesting the arrest of photojournalist Dr. Shahidul Alam in Bangladesh, in August. Alam had criticized widespread corruption by the Bangladeshi government during an interview with Al Jazeera and had disseminated videos critical of the government’s violent response to protests demanding safer roadways. He was held for 100 days and says he was tortured while in custody, charged with hurting the image of the state. The Bangladeshi government released Alam on bail in late November, in response to a barrage of international appeals, but has not dropped charges; he faces up to 14 years in prison. Alam’s case garnered worldwide attention in part because of the prolific-ness of his cultural and social work. “He’s basically a one-man kind of aid agency, journalist, media trainer, school operator, and he’s funded it all himself,” Gary Knight, director of VII Foundation, an American photography non-profit, told The New York Times. Alam serves as a board member of VII Foundation (an international organization focused on fostering long-term photography projects), and updates about his case can be found on their website. 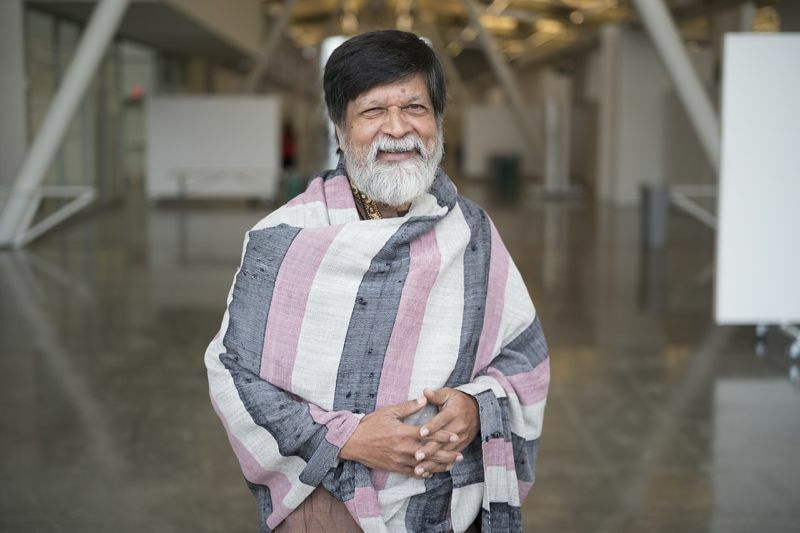 Shahidul Alam in 2017. Image courtesy of creative commons. Similar to Cuba’s Decree 349, Israel’s Minister of Culture, Miri Regev, last year proposed a law intended to obligate artists to “Loyalty in Culture.” The bill arrogates powers to the Culture Minister to deny funding to artists, institutions, or initiatives that she deems to be in conflict with “the principles of the state.” The proposed bill was met with protests, including one attended by the artist who represented Israel at the 2011 Venice Biennale, Sigalit Landau, where artists burned their paintings, illustrations, novels, and so on. [https://news.artnet.com/art-world/culture-law-protest-israel-1403995] As of late November, the bill has been put on hold indefinitely, unable to garner enough votes to pass. Furthermore, in December Israel’s government sent a letter to German Chancellor Angela Merkel demanding that her government revoke support for the Jewish Museum in Berlin, along with 11 other non-governmental and cultural organizations, including non-profit relief charities, news websites, and the Berlin International Film Festival. 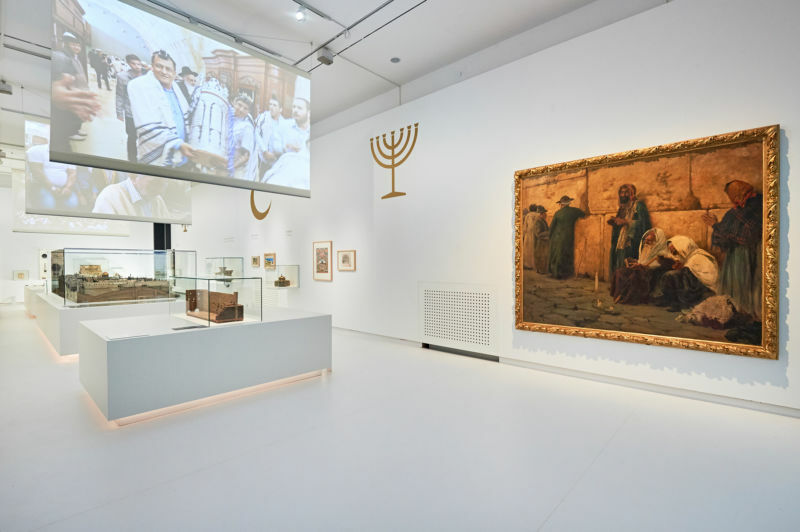 The Israeli government was, apparently, incensed by the Jewish Museum’s exhibition “Welcome to Jerusalem,” which addressed Jerusalem's “extraordinary political tensions, claimed as the capital city by both Israelis and Palestinians.” The seven-page letter described the exhibition, museum, and other listed groups as “anti-Israeli” and supporters of Palestinian terrorism. From "Welcome to Jerusalem," December 11, 2017- April 30, 2019. View of the central exhibition room "the holy city." Image courtesy of Jewish Museum Berlin. Photograph by Yves Sucksdorff. In Brazil, the situation appears more frightening, as the new government of Jair Bolsonaro—an avowed admirer of dictatorship and a proponent of various anti-freedom policies—has moved quickly to reformulate government in a variety of ways, after inaugurating his administration at the beginning of January 2019. In particular, he has effectively dissolved the Ministry of Culture, along with the ministries of Sports and Social Development, combining the three into a Ministry of Citizenship. The new ministry is staffed by a crony, Omar Terra, who has declared his intention to reduce funding. Further threats are posed by radical new governments in Hungary and Austria, and elsewhere, and by the continuing consolidation of authority by governments in China and Russia. This is a global problem, and, consequently, invites solutions that think global and act local, as the cliché goes. For this reason (among others) AICA is perhaps ideally suited to take up the banner of free speech in the arts. Not only does the organization represent the interests of art critics, but so too the interests of artists and others in the arts ecosystem. Art is important and governments know that, for good and for ill. As well, AICA is a global network, with chapters addressing the issues of their home nation, while also communing and looking internationally. And AICA-USA is actively surveying partnerships with other proponents and defenders of freedom of expression, such as the National Coalition Against Censorship. This is vital, now and always.